With a creamy, cheesy fish filling and fluffy potato topping, these pies are quick and easy to make and super yummy too! Drain the potatoes, add 25g butter and 25ml milk and mash together, leave to one side. Place the remaining butter in a casserole dish with the onion, cover and cook on High MICROWAVE for 3 minutes. Mix the flour into the butter and onion. Cook on High MICROWAVE for 30 seconds. Gradually stir in the 75mls milk and then the stock. Cook on High MICROWAVE for 3 minutes. Add the fish and parsley. Cook on Medium MICROWAVE for 3 minutes. Stir in the peas and grated cheese. 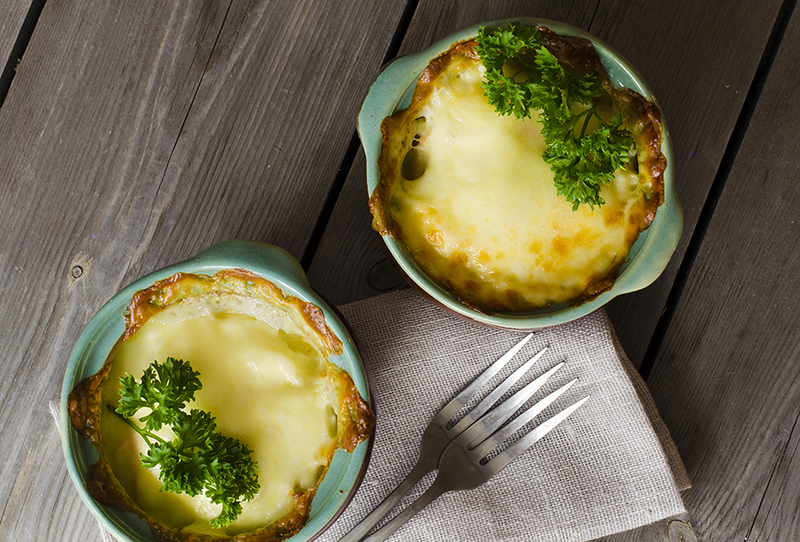 Divide the fish pie mixture between 6 x 8 cm (3 inch) ramekin dishes, top with mashed potato and sprinkle with cheese.